Riyadh – April 8, 2019: Dussur, a strategic joint venture of the Public Investment Fund (PIF), Saudi Aramco and SABIC, announced today the appointment of Dr. Raed AlRayes as its new Chief Executive Officer with effect from April 1st, 2019. Dr. AlRayes has a proven track record of accomplishments in different professional capacities spanning nearly 20 years - with successful contributions across several fields including investment banking and direct investment. He has played a key role in many financial institutions where he held leadership positions, and he has made significant contributions through board positions in numerous companies. Additionally, he has served as a member in several executive and advisory committees for leading public and private institutions that operates in several sectors, including energy, industry and services sector. “We are confident of the ability of Dr. Raed to be instrumental in implementing the company’s strategy to open up new industrial sectors that will be of great importance to realizing the goals of Vision 2030, most notably those of job creation and economic diversification,” said Mr. Mohammed Abunayyan, Chairman of the BoardContinue Reading "%s"
Dussur, the Saudi Arabian Industrial Investments Company, has continued its industrialization push by signing MoUs with leading regional and international institutions in the Automotive, Chemicals and Industrial Metals sectors. HRH Crown Prince Mohammed bin Salman, Deputy Prime Minister and Minister of Defense, attended the launch event of the National Industrial Development and Logistics Program (NIDLP) in Riyadh, where these investment plans were announced. The MoUs have an important link to the company’s mission to bring strategic industries to Saudi Arabia’s domestic market and support the Kingdom’s industrialization journey. Dussur aims to invest in the creation of an Automotive Complex locally and have also outlined plans for a new venture in partnership with SABIC, under the umbrella of its national initiative ‘Nusaned’, to distribute liquid chemical products to the small and medium enterprises (SME) sector. Additionally, Dussur unveiled plans to invest in the Industrial Metals sector, producing aluminum for the aerospace industry. These plans highlight Dussur’s commitment to playing a key role in creating and establishing a thriving local industry and create skilled jobs for the local workforce. 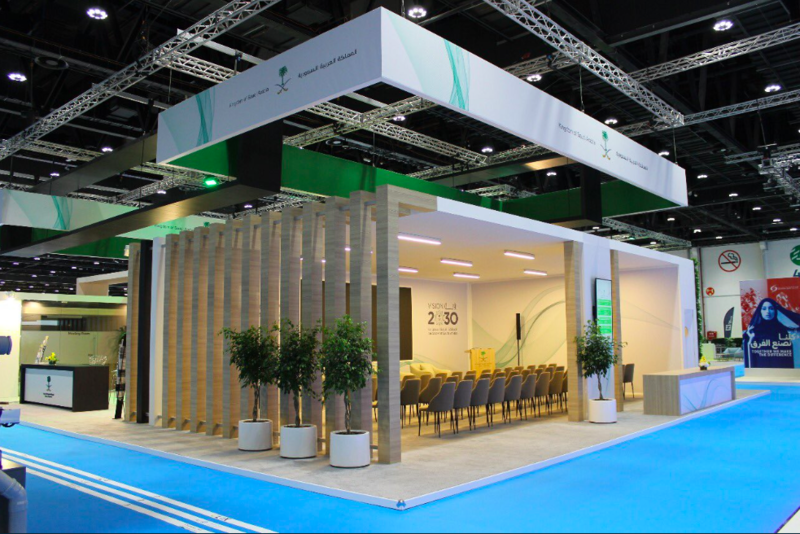 RasheedContinue Reading "%s"
Riyadh, Rabi'II 25, 1439, January 12, 2018, SPA -- The Kingdom of Saudi Arabia, represented by the Ministry of Energy, Industry and Mineral Resources will participate with 14 Saudi sectors in the fields of energy, industry and electricity in an interactive pavilion at the Abu Dhabi week for Sustainability 2018, to be begun tomorrow and lasts until 20 January. The participation will include a number of conferences and working sessions, discussions on renewable energy and sustainable development. 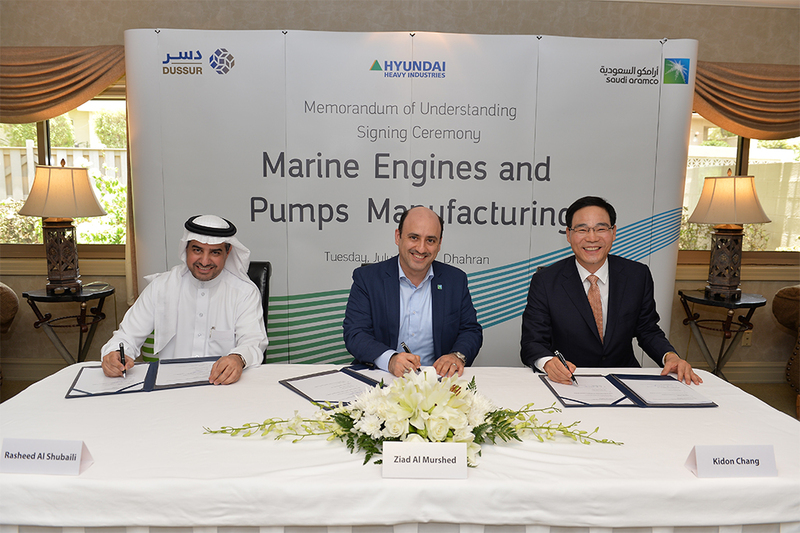 JEDDAH: Saudi Aramco, the Saudi Arabian Industrial Investments Company (Dussur) and Hyundai Heavy Industries (HHI) on Wednesday announced the launch of a joint venture to manufacture 2-stroke and 4-stroke engines and marine pumps. A memorandum of understanding (MoU), in this regard, has been signed, which lays out a comprehensive cooperation framework for the joint venture in the Kingdom. The project not only envisages manufacture of engines and pumps but it will also offer sales and aftersales services in the Middle East and North Africa (MENA). According to a press release issued by Saudi Aramco, the manufacturing facility will be co-located with the maritime yard in Ras Al-Khair at the King Salman International Complex for Maritime Industries and Services, where it will develop synergies with several complementary ventures. The joint venture will manufacture 4-stroke engines under HHI’s HiMSEN brand licensing, serving as a regional production stronghold to support the growing demand for electricity in the MENA region as well as marine applications for large and small vessels. 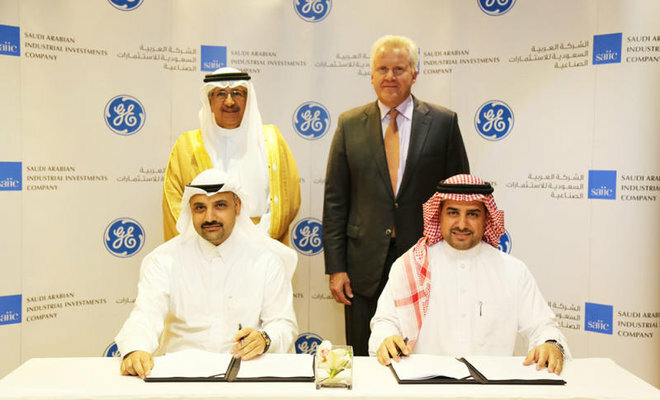 It will also operate under a MAN-HHI sublicense for the manufacturing and servicing ofContinue Reading "%s"
In line with Saudi Vision 2030, Dussur and GE support Saudi Arabia’s growing industrial sector Dussur and GE partner to localize the manufacturing of gas turbines in Dammam Riyadh, Saudi Arabia; May 24, 2017: Dussur (formerly operating under the name Saudi Arabian Industrial Investments Company) and GE (NYSE: GE) have signed a joint venture agreement worth more than SAR 1 billion. This announcement follows the Summit held earlier this week between His Royal Highness King Salman bin Abdulaziz Al Saud and U.S. President Donald Trump and is part of the announcement GE made on May 20. 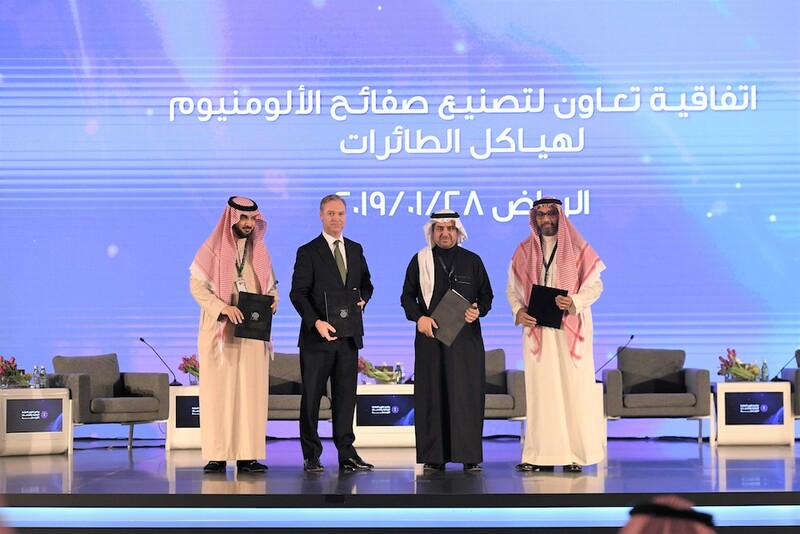 The agreement represents significant progress towards achieving the Saudi Vision 2030 by continuing to localize gas turbine manufacturing in Saudi Arabia and helping to further develop a global industrial supply chain for the energy sector. It follows a strategic Memorandum of Understanding signed between Dussur and GE last year that is expected to result in nearly SAR 3.75 billion of co-investment by the two companies across multiple sectors in 2017. The joint venture will create the capacity to supply the majority of Saudi Arabia’sContinue Reading "%s"
Roll-out of over US$1 billion joint investments over the next year followed by potential investment of US$2 billion in energy, aviation, digital and other sectors from 2017 Projects to contribute to transformation of Saudi economy through industrial diversification, value chain localization, strengthening private sector and SME investment and creating quality jobs for Saudi nationals Jeddah, Saudi Arabia; May 23, 2016: DUSSUR and GE (NYSE: GE) have signed a Memorandum of Understanding (MoU) to co-invest in strategic sectors that will help develop and localize industrial value chains in Saudi Arabia to serve the domestic market and beyond. Joint investments of US$1 billion (SAR3.75 billion), will be rolled out by 2017, in addition to an aggregate potential investment of US$2 billion (SAR7.5 billion) to drive projects in water, energy, aviation, digital and other sectors from 2017. Complementing the goals of Saudi Vision 2030, the overarching aim of the agreement is to establish transformative projects that will promote industrial diversification, deepen manufacturing capabilities in the Kingdom, build industrial know-how and create quality jobs for Saudi nationals. This will be through joint ventures inContinue Reading "%s"
Khobar, Kingdom of Saudi Arabia; March 9, 2016: The CEO of DUSSUR outlined the major role the newly formed organisation will play in promoting the Kingdom’s economic diversification by establishing profitable companies that will stimulate private sector industrial investments. 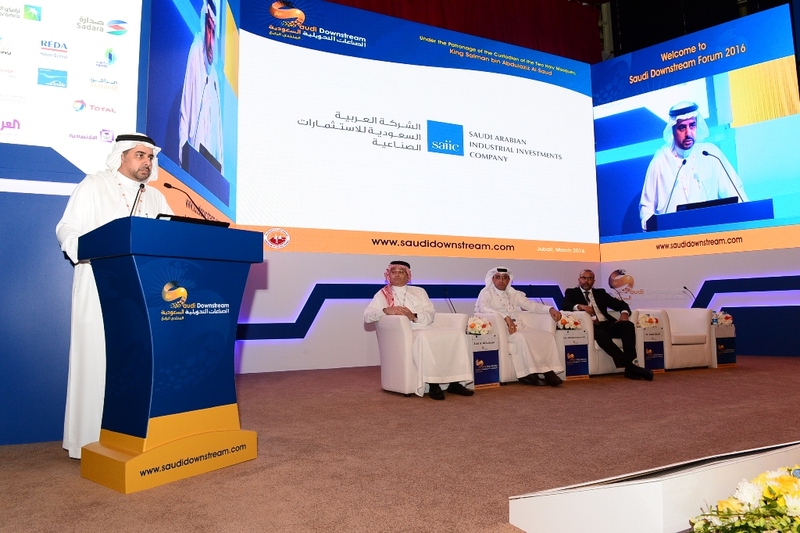 In a speech at the Saudi Downstream conference in Jubail, Rasheed Al-Shubaili also explained how DUSSUR will support the national diversification agenda of Saudi Arabia’s leadership. DUSSUR is a joint venture between the Saudi Arabian Public Investment Fund (PIF), Saudi Aramco and SABIC (Saudi Basic Industries Corporation) with a mandate to support the establishment of globally competitive industrial sectors. The company will focus on investments in the Kingdom through joint venture partnerships with global industry leaders, with each investment designed to be sustainable and actively contribute to the development of strategically important industrial value chains. The Saudi Downstream conference was selected for this important speech given the petrochemical’s sector significant contribution towards economic diversification in Saudi Arabia over the last decade. It was also the conference where Prince Faisal Bin Turki Al Saud first outlined the requirement for an investment andContinue Reading "%s"
Riyadh, Kingdom of Saud Arabia; August 31, 2015: The recently formed “DUSSUR” has appointed Rasheed M. Al-Shubaili as its CEO. DUSSUR was established last year by a Royal Decree as an organization with joint venture partners consisting of the Saudi Arabian Public Investment Fund (PIF) 50 percent, Saudi Aramco 25 percent and Saudi Basic Industries Corporation (SABIC) 25 percent. The company will be dedicated to establish downstream industrial investments that catalyzes the development of diversified and strategic industrial value chains in Saudi Arabia. The company is aimed at creating positive impact on the Kingdom’s economic diversification, utilization of local resources, creation of quality jobs and attracting new technologies and external investments. DUSSUR’s Chairman H.E. Eng. Abdullatif Al-Othman said: “I am happy to welcome Rasheed Al-Shubaili as DUSSUR’s first CEO. He is well respected as an accomplished leader, and his knowledge and extensive experience will be valuable to all of us in the new company. I wish him every success.” Al-Shubaili, a former SABIC executive, assumes his new role on September 1, and will lead the SR2 billion company, bringing withContinue Reading "%s"